Jack Kirby shocked the comics industry in 1970 when he left Marvel for DC. After a decade as co-architect of the Marvel Universe, he took his infinite imagination to the competitor. The project that he launched his stay at DC with was Larter dubbed Kirby's Fourth World. The concept was an epic told across the span of 4 books, and could be seen as an evolution of his work on Thor and Fantastic Four. He envisioned 4 intertwined narratives that could one day be published in larger volumes to showcase a novelesque approach that would redefine comics forever. Naturally, such an endeavor could only begin in the pages of Superman's Pal, Jimmy Olsen. 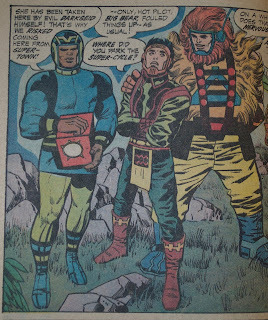 While the other books in 4th World launched with first issues, Kirby had to do something while room was being made in the schedule. That something was to take over one of DC's lowest selling books. Unlike Marvel, most DC comics of the time had a very thin continuity, and a very short, seldom changing group of secondary characters. Himself a secondary character, most of Jimmy's adventures involved looking like an idiot win front of his best pal Superman. 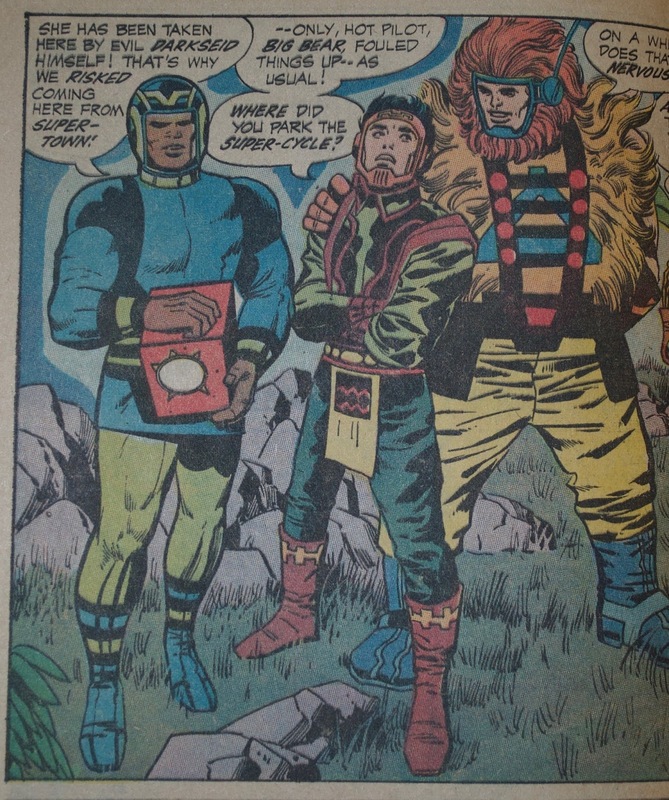 Kirby brought in over a dozen characters in his first issue on the title, fully transforming it into a wild introductory chapter of wilder things to come. Kirby had worked at DC before, and he, along with Joe Simon, did book back in the Golden Age of comics called the Newsboy Legion. Kirby revived this concept, and introducing the adult iterations of his forgotten characters. With the adults were young clones of themselves, perfect replicas of the adventurers of the 40s. New among them was Flippa Dippa, a young black clone who spoke jive and wore a frog suit. The Newsboy kids were full of moxie and heart, but were also played for comedic effect. There wasn't;t much more to any of it, but things soon got better. 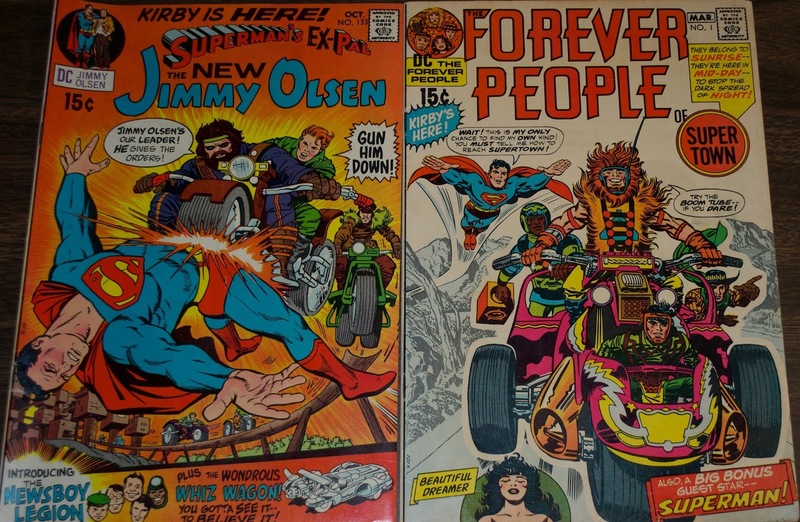 The Forever People was where Kirby introduced the core concepts of his epic. They were a team of young gods bound together by a force called the Infinity Man. The team included Beautiful Dreamer, Big Bear, Seraphin, Mark Moonrider, and Vykin the Black. Vykin was not the god of black. He just was. Black. His dry intellect essentially made him the team's Spock. He wielded the FP's sentient computer, Mother Box. It was Kirby predicting the iPhone. 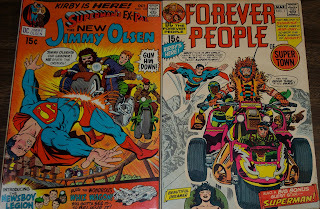 Forever People lasted 11 issues, with Vykin in all. There was never a solo tale, but he was a member of the family of space-hippie-godlings for all of the issues. He was the first black character at DC in the core cast. Yes, Mal Duncan popped up in Teen Titans, but he was essentially their go-to hostage friend. New Gods was where the main story was happening in the epic, and some of the most complex and personal stories happened here. Tales like "The Pact", the antagonist Darkseid, and ideas like The Source were huge influences on George Lucas and Star Wars. When people discuss the Fourth World with reverence, they mostly mean the 11 issues of the New Gods series. Kirby was on fire here. 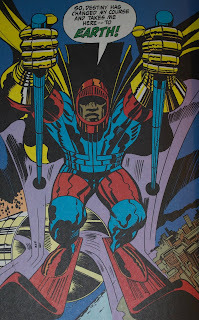 The third black character to debut in the 4th World saga was an effort to capture the grandeur and mystique that Kirby intended with the Silver Surfer. 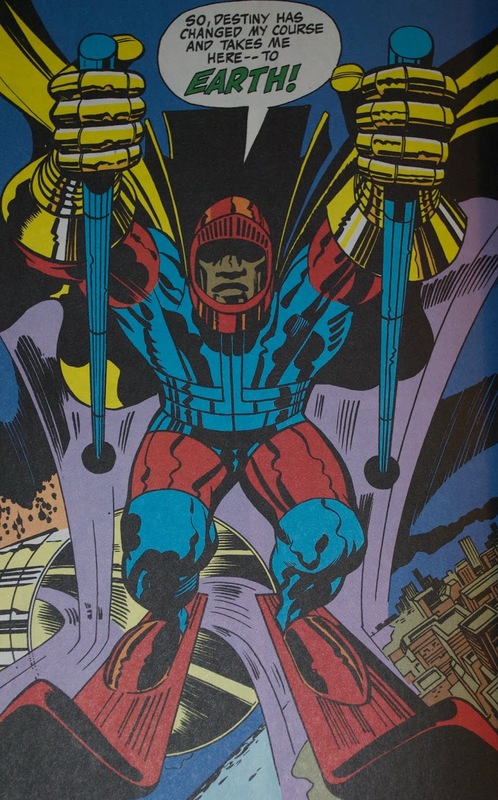 The story goes that Kirby had an idea for the 3rd issue, discussed it with his assistant, Mark Evanier, and then a few days later had written and drawn a totally different book featuring a new concept, The Black Racer. The Black Racer was the New God's avatar of Death. He manifested on our Earth through a paraplegic Vietnam vet. He was a being intended to evoke awe and wonder, the answer to the cosmic question "what can kill a god?" A black man on skis was the answer. This was a case of Kirby's brilliance misfiring in a way that really should have hit the mark. Why did a surfboard work with one character, but skis just look dumb on another? I have often defended Kirby's writing and concepts as a solo creator, but must admit that an editor might have at least suggested a skateboard. Many, many years later in the late 1990s, Grant Morrison would use Black Racer to great effect as the dark avatar of a dying world of gods. If not for that brief revival in Morrison's JLA run, Black Racer would be a weird one-off of missed potential.